One of the biggest concerns companies and IT users have regarding public cloud is about availability and reliability since organizations cannot control the solutions involved providing the services they are acquiring from their cloud provider. 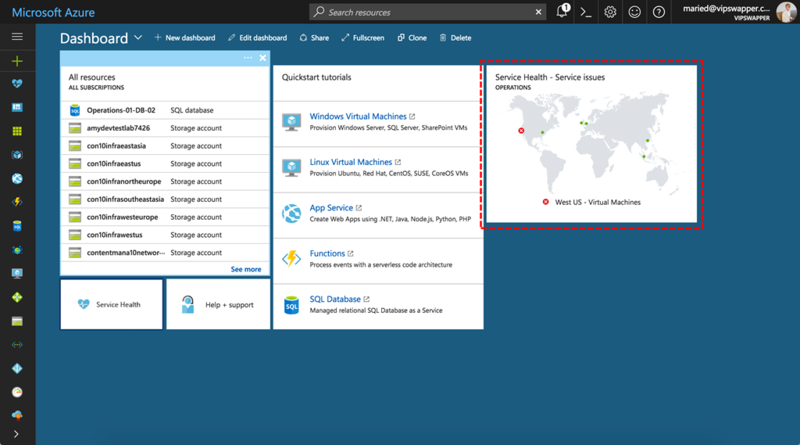 Microsoft is always looking to enhance the cloud perception, and now is taking a customizable approach for the Azure Service Health Dashboard, released recently in public preview. The Azure Status portal can be accessed without any Azure account and shows a very clear view about the current status of the platform distributed by regions, a very specific list of all the services and of course the current status of each of these components. We have to remember that earlier this year, in February, Amazon Web Services (AWS) suffered a major downtime based on a user error managing the S3 platform. A large group of well-known companies like Apple, Citrix, Docker, GitHub, MailChimp, and Slack experienced issues for several hours based on this issue since they were hosting some services in AWS. But there was another problem affecting Amazon, during the downtime the Service Health Dashboard was showing they were not experiencing any issue in the platform. After some hours passed, AWS addressed the issue on Twitter: “For S3, we believe we understand root cause and are working hard at repairing. Future updates across all services will be on dashboard”. This situation generated concern among AWS customers since the uncertainty on detecting an issue directly impacts the probability to resolve an issue in a timely manner, especially if you have critical services running on this platform. Azure Service Health intention is to provide a personalized report on the exact part of the Azure infrastructure that affects your virtual machines, as well as to detail information when issues may occur, and the activities that are being performed to solve these issues. 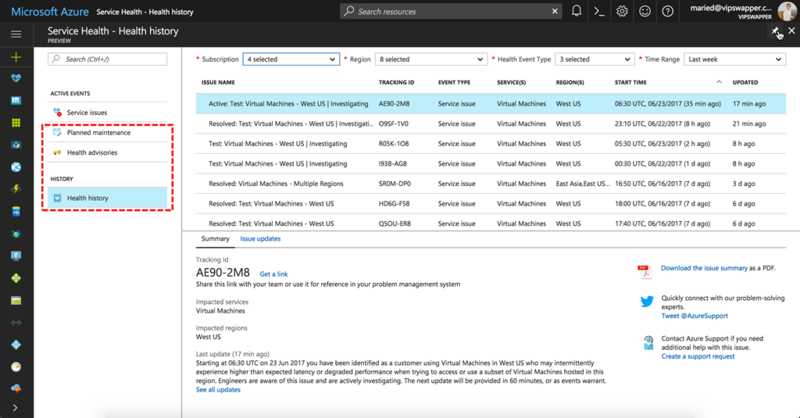 Microsoft will notify promptly in this dashboard about changes and maintenance scheduled for the Azure resources. You can also see in the lower right section of the page a downloadable option for a PDF with a summary of the issue that you can share with people that do not have access to the portal. Also, there are export options to retrieve information about the specific resources affecting your company that you can also share internally. Copyright © AcloudA, 2012-2017. All rights reserved.